Has anyone bought a candle using the ribbon wick? It looks like some kind of metal screen that has metal anchors on the bottom and I think they are made by Wood Wick? They come in intersting containers and have great ct and are just one more reason that I've decided to close my business and move on to something else. I've not seen these do you have a link for the candles? Oh I found them & have seen them. I've not tried any of them though. I finally broke down & bought a Yankee Candle and it didn't show me a lot for their prices. Mine are far better as far as hot throw. Yes, I have just about burned it all and I am surprised that it is burning so well. All the wax burns nicely. The wick very interesting in deed, I too see a metal screen type design. Very little smoke when you blow it out too. Yes, it is made by Wood Wick and they are becoming very popular. I almost bought another one. Competition is fierce - glad I sold my company 2 years ago. That does look amazing. How about the ht? The choices are very upscale for this candle and it looks great without evern lighting the thing. I notice that Febreze is putting out a large container candle now. Does it never end? Febreeze candles were very, very strong when they first came out, but a couple of years ago I noticed they're only half as strong, and about 1/4 less full. I haven't seen the new large ones yet. The HT on the ribbon wick candle (Vanilla Sugar) is great IMO. I have a very large kitchen/dining/living area and it fills it up. that burn candles that way, but I do know alot of people that do. I have one of the candles and it's really nifty. I've not gotten down to the bottom but mine is a fairly shallow dish - I don't anticipate any explosions. Has anyone seen the wicks themselves for sale anywhere? 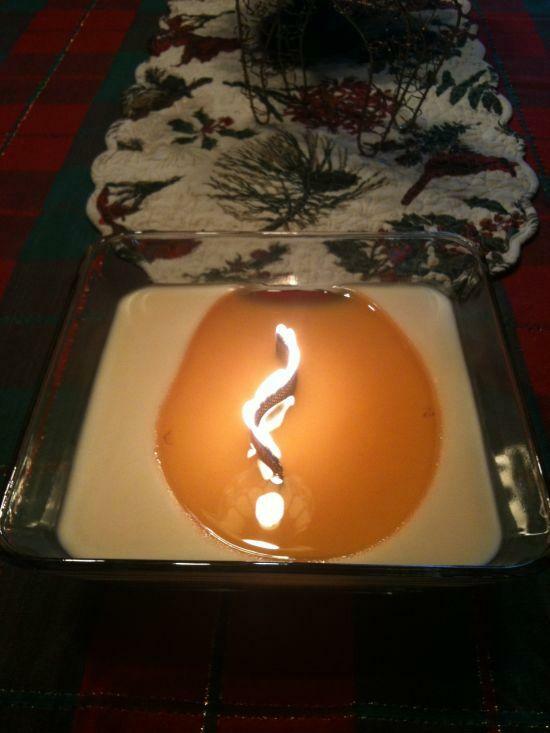 Does anyone know where candle makers can get this type of wick to make their own candles? Those are cool looking candles, I've been thinking about buying one. You are on the nose, the candle industry competition is fierce. There's a lot of creative people and companies out there. Now that's just talking about the looks of the products alone, as we know, some products look better than they perform. Nowadays, sellers really have to fill a buyers need, have great branding, something different to offer, lots of advertising and a great product to back it up. It is a lot of work and expense. I've looked for them but not found them. I don't believe they sell them. They are patented and propriety to only them I believe. I found the Ribbonwick and HearthWick candles for sale but I can't find any of the wicks for sale, don't think you can. Yankee Candle sells them too and somehow they are connected to the WoodWick Company, maybe Yankee bought them out. They are beautiful candles, I really like them. Yeah, I've been looking for these for a while now. From what I've learned, Woodwick is actually owned by Virginia Candle Company. But in any case, these seem to be hard to find. In the other blog I commented on (you are on that one and replied to my comment also), it looks as though a year ago someone was able to find these wicks at northstarcandlesuppy.com , however, that website doesn't seem to be functional anymore. LOL, you are right, there are two similar posts talking about these wicks. I didn't realize I was bouncing back and forth between two posts. One post is titled "Ribbon Wick" and the other one is titled "Ribbon Wicks"